This portable acrylic bar rental was rented for a Newark, NJ surprise birthday party. The portable acrylic bar is great for parties that are outside as the material doesn't tend to get that hot in the sunlight. If you would like to place it on grass, or gravel be aware that it needs to be on a level portion of the ground. Placing it on unstable or uneven ground can result in it tipping or getting damaged. When renting LED furniture from us, you can rest easy, as we will set it up for you when we deliver it. The person that scheduled this acrylic bar rental also had other party furniture rentals as well. They rented tents, chairs and tables for their event. With all these party rentals the NJ party went had everything it needed to make sure that the birthday went according to plan. 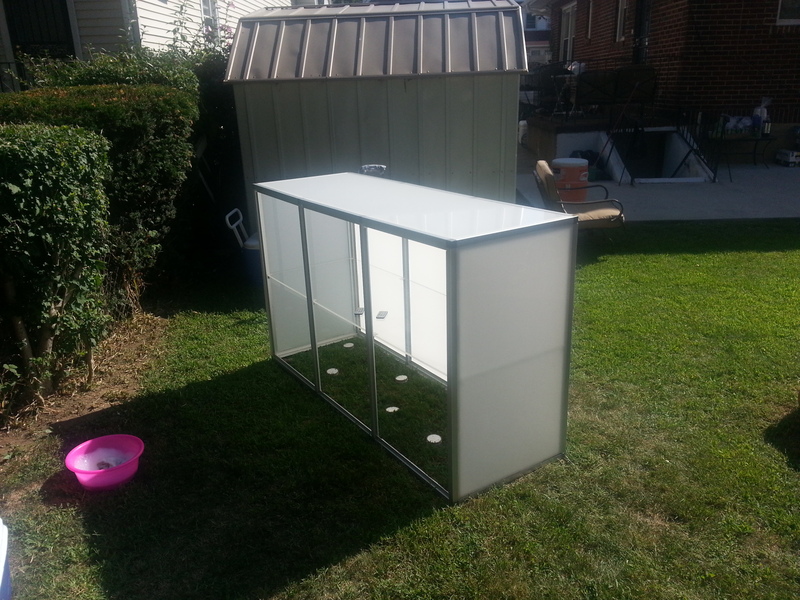 The price to rent an acrylic bar in Newark, NJ was $550, for this client. Often times the price of renting a portable bar is based on your location. This price includes delivery, set-up, breakdown, and pick-up. The clients were greatly satisfied with the acrylic bar and mentioned that they would rent more party furniture next year. We are happy to be the best party furniture rental company in NJ. See more LED portable bars. Take a look at all the party furniture rentals.